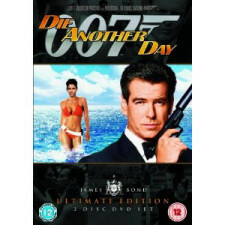 The 20th official James Bond film, Die Another Day, marked the 40th anniversary of 007 on the big screen with its cinematic release. 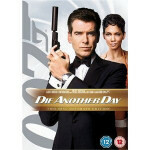 Die Another Day again stars Pierce Brosnan as our hero, with supporting roles provided by Dame Judy Dench as M, John Cleese as Q and with Halle Berry and Rosamund Pike as the Bond girls, Die Another Day is full of what you expect from a Bond movie and full of what you don’t. 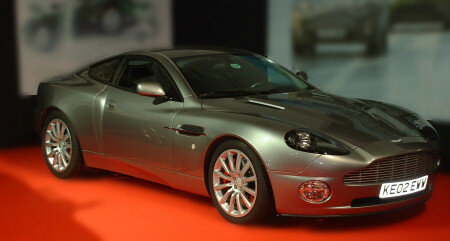 The Madonna song lets down the otherwise excellent title sequence and the volume seems to be a little to pumped up at times, but the movie sees a welcome return to Bond driving an Aston Martin, although rather than just sporting an ejector seat, it features an invisibility mode that stretches improbability just a little too far. Once again the pre-title sequence is overlong, but the scenes set in Cuba work well. 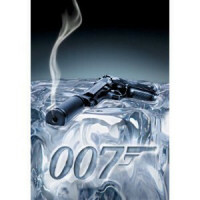 Once 007 arrives in London it is all downhill and as a 40th anniversary tribute to the Bond series it is a disaster. 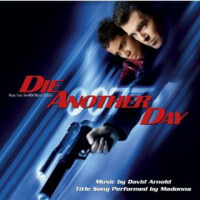 Read more about the Die Another Day soundtrack or buy it online.